Please take a look at the fantastic work of our entertainers. Do you want to give your kid the best children’s parties ever as a gift? Do you want to turn a special occasion into a truly unique one? 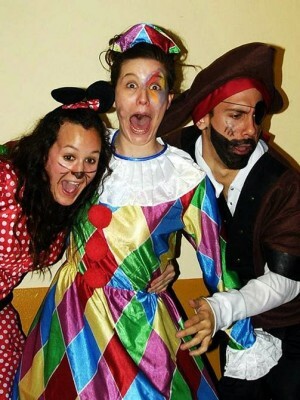 After 16 years of experience in Europe and 3 in Great Britain we offer the best quality children’s party entertainment. We have grown and learnt how to fill your homes, venues and locations with joy, excitement, fun, kindness new discoveries and love and we happily provide a personalised experience while doing so -and continue to learn and improve as a company with quite a noble purpose. We love and enjoy our job and we think making your kids happy is not only a job to be taken seriously and to be properly mastered, but also a committed lifestyle. We believe making children happy, seeing their eyes full of wonder and making them burst with laughter makes us the luckiest professionals out there. The child inside us is indeed bigger than in most adults, but it isn’t surprising to have grown ups nearly as involved in our children’s entertainments as children are… after all, joy is contagious! And, of course throwing mindblowing parties. They are true professionals that are crazy about their work (and in this world that is hard to come by). All in a fun, playful and safe environment that promotes participation and involvement of every kid at the party. Our children’s entertainers always capture the attention and interest of the audience within the first minute. 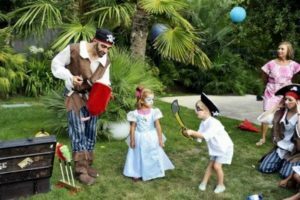 Each kid´s party entertainers is selected after various individual interviews and a group session; we know that we can not take any risks when working with children. To ensure the most professional work, we even assign experienced entertainers to help training the new ones in addition to making sure our employees attend workshops featuring magic, themed / age adapted games, puppetry, theatre plays…and so on and so forth. -We are a registered company with public liability insurance which fulfills what we agree on. 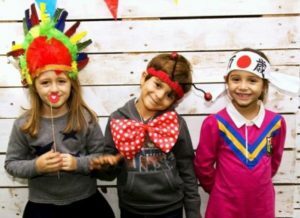 -Our children’s party entertainers bring sound system, quality costumes and all the materials needed for your party. -Our quality, personalised customer service makes sure you’ll book the best option available and can attend your emergency calls if needed. 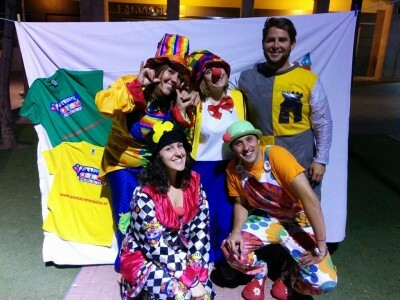 Read more about our children’s party entertainers. We are highly trained workers in the children’s party entertainment field and we are caring, extroverted, multi-talented, genuinely nice people who put all of their energy, passion and best efforts into creating the best experience possible for your child from the first call that we receive from you. We know that these are special events and we want to be sure that they are perfect. What makes us different from most children’s entertainers out there is our professionalism and the fact that we take the job of making your child laugh very seriously. Yes, the parties are filled with antics, jokes and humor, but everything has been prepared based on your requests to be sure that the party is a complete success. We always conduct our business with the utmost professionalism and efficiency and you should feel free to call us or send us an email at any time. We are just as serious as we are amusing in the parties -all of this without putting a hole in your wallet! They know how to sensitively win over the children -even the shyest guests- without ever making anyone feel awkward or uncomfortable. They enjoy their job, which is quite self-evident in the parties… they have just as much fun as the kids! They ensure that all of the kids participate in the games and activities and enjoy them equally. No one gets left behind in our children’s entertainments. We take pride in the fact that children never want us to leave and usually ask us when are we coming back again and also in the increasing number of happy parents contacting us again and congratulating our fantastic entertainers after enjoying nearly as much their work as their kids. Welcome to our website, a reflection of our excellent work. We hope that this site helps you to find the best option for your child, the gift that you have been searching for, the most incredible children’s party entertainers. We are entertainers dedicated to making your kids happy. We organize children’s parties with fun, dynamic and completely interactive age and gender oriented activities to ensure that the children, not the entertainers, are the true stars of the show and main protagonists of the day. Our entertainers arrive early enough to get to know the parents and the kids and to make sure they suit their activities, games and performance to their audience in every possible way. They are dedicated, joyful and compassionate professionals devoted to make your boy or girl feel as special as each of them truly is. We never overshadow the kids on their special day and we make everything we can to make sure we are just the hosts and mere assistants to their genuine happiness and excitement. Our kid´s party entertainers are trained to quickly adapt to the changing needs and desires of your little ones and make sure everyone is happy and everything runs smoothly. The children’s party entertainers will energize the group, leading them through an exciting series of activities to create a special, fun and unforgettable day in which you will have absolutely nothing to worry about besides enjoying yourself. 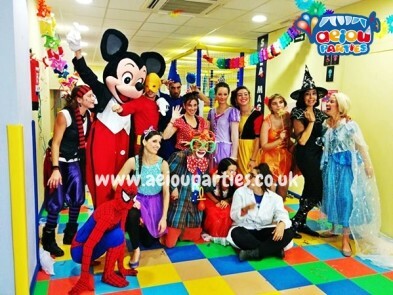 We are highly trained workers in the best children’s party entertainment field and we are caring, extroverted, multi-talented, genuinely nice people who put all of their energy, passion and best efforts into creating the best experience possible for your child from the first call that we receive from you. We know that these are special events and we want to be sure that they are perfect. Our children’s entertainment packages are funny, inclusive, sophisticated yet inexpensive, adapted to all ages and creative (thanks to our wonderful entertainers and our tough selection process). –Face painting and balloon modelling. Our entertainers are able to respond to any request and make them feel like their favourite character while carrying their balloon model of choice -which they also get to keep as a souvenir! -Extras such as children’s magic, storytelling, puppets, science experiments, bubble show and bubble experiments and, of course, themed parties. –Professional magicians whose mindblowing tricks will delight not only your kids, but also every adult at the party. Our entertainers provide these activities upon your booking following a tidy schedule whose effectiveness and amusement has been tested for 16 years. There are several reasons for our success in this seriously funny business: we are passionate, engaging, fully focused on your children’s growth and well-being and we are keen on stimulating them and their imagination with our colorful costumes and we love making them learn new things by having loads of fun. Our children´s party entertainers adapt to all ages, tastes and needs, as well as to the physical space they are given for the entertainment to take place -which makes them all entirely unique and personalised. We can make the most your home, your booked venue or your outdoors location. Finally, we can also adapt our packages to your requested theme or seasonal special occasions such as Christmas! Welcome to our website, a tiny, online reflection of our excellent and expanding work. We hope that this site helps you to through the sometimes quite tedious, worrisome and confusing task of finding the best option for your child, the unforgettable gift that you have been looking for and, above all, the most incredible children’s party entertainers. 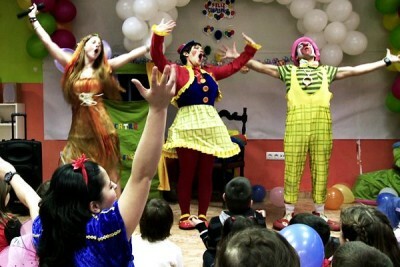 We are children’s entertainers fully devoted to making your kids happy. Let us make your Little ones’ dreams come true!